A few months ago, Tom Russotti contacted Nicole to see if the DMA might want to partner with him on any projects. Tom is the founder of the Institute for Aesthletics, and is also an artist-in-residence at the CentralTrak Gallery. Much of Tom’s work combines art with game playing, and I was eager to have him lead a session for our docents that might help them incorporate games into their tours. Tom began his session by telling the docents about his projects, including his upcoming CIncArt exhibition at CentralTrak. He also spoke about why games matter, and it’s not just because they’re fun. Games are experiential and allow us to learn by doing. They provide a structure for learning but don’t cause us to feel pressured to participate or come up with a “right” answer. Games are also social and enable us to interact with works of art and with each other. Emotikonst, which asked docents to write down their emotional responses to a work of art on a piece of paper. 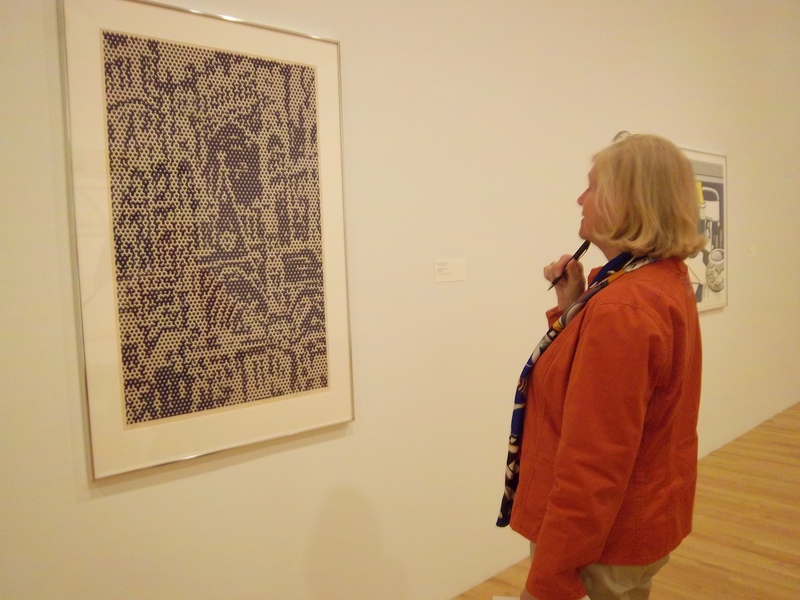 They then switched papers with another docent, who had to figure out which work of art was being described. Action! 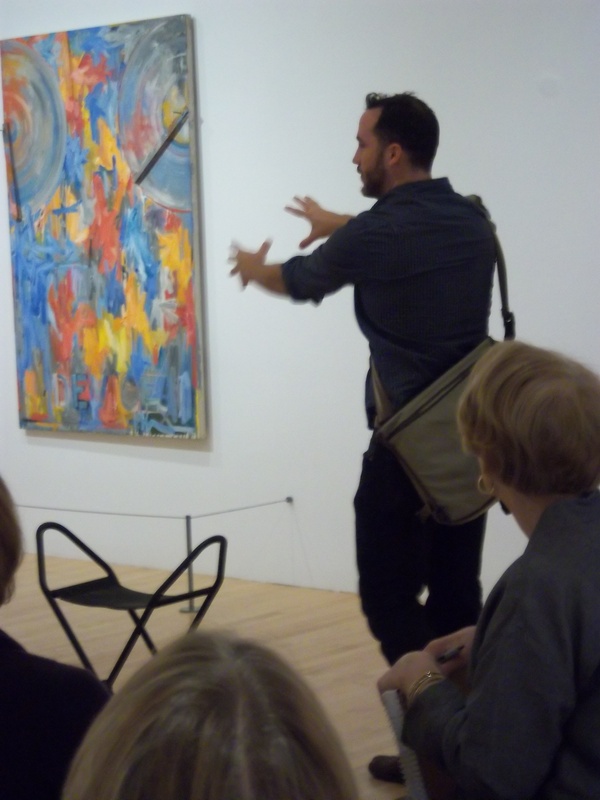 allowed docents to select one Abstract Expressionist painting and use movement to re-create how that painting was made. 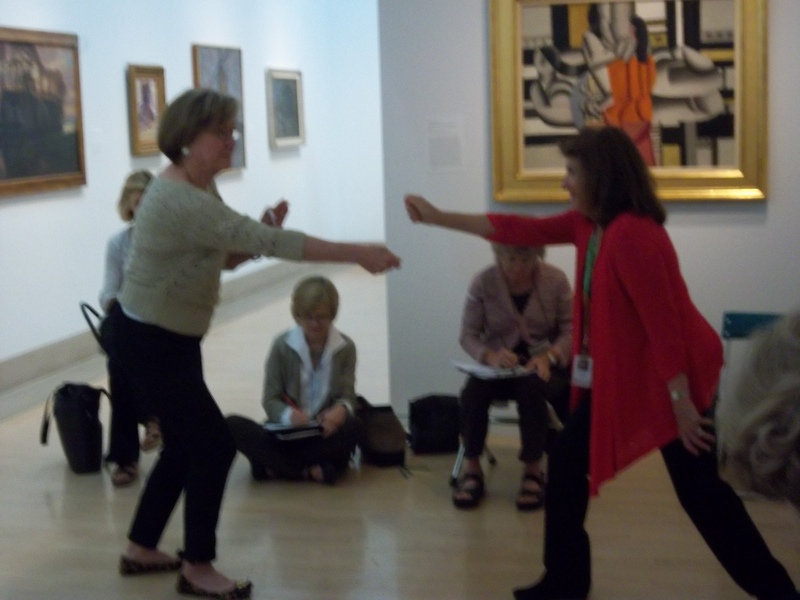 The Cubism Game called for one or two docents to pose like a sculpture while the rest of the group sketched them. The group was told to sketch the “sculpture” from as many viewpoints as possible to illustrate the different perspectives one sees in a Cubist painting. 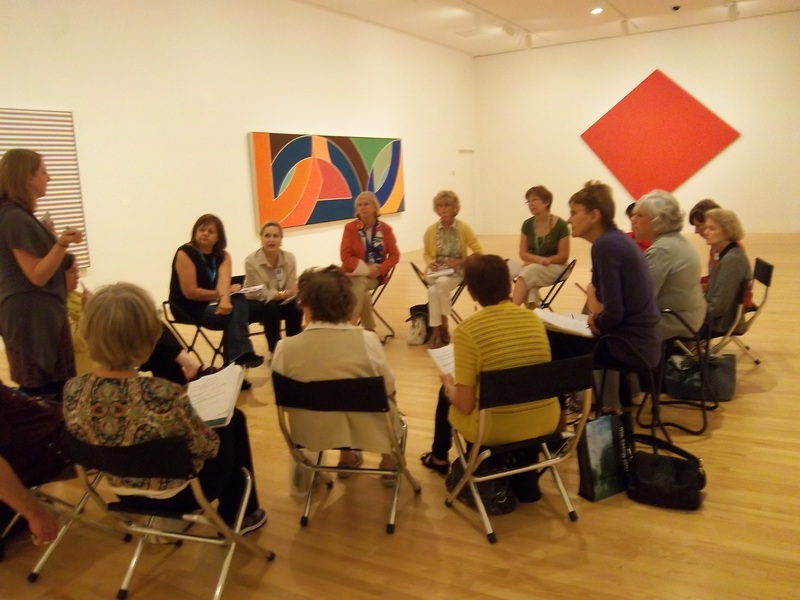 Muse asked docents to respond to a set of questions and prompts to identify how they were feeling at that exact moment. They then selected a work of art that described their present state of mind. Each of Tom’s games had a defined goal and set of rules that went along with it. Docents, like students, sometimes have a hard time following rules. And as the old saying goes, rules are meant to be broken. Many of the groups altered the rules to create new variations of Tom’s original games. Tom encouraged the docents to give him feedback on his games, and he plans to use their feedback to made additional tweaks to each of the games. Towards the end of training, docents were given an opportunity to invent games of their own using a set of guidelines that Tom provided. Some of the guidelines included creating a game that was easy to learn but hard to master, designing games for the site in which they will be played, relating games to works of art, and creating cooperative games – everyone participates, and everyone wins. Our docents came up with really great sparks for games, and I’m looking forward to working with Tom and the docents to flesh out their ideas. If you would like to have an opportunity to experience the world of art and games with Tom Russotti, I encourage you to sign up for the Art & Games teacher workshop on November 12. Teachers will play games that Tom has created, but you will also have an opportunity to invent a game of your own. 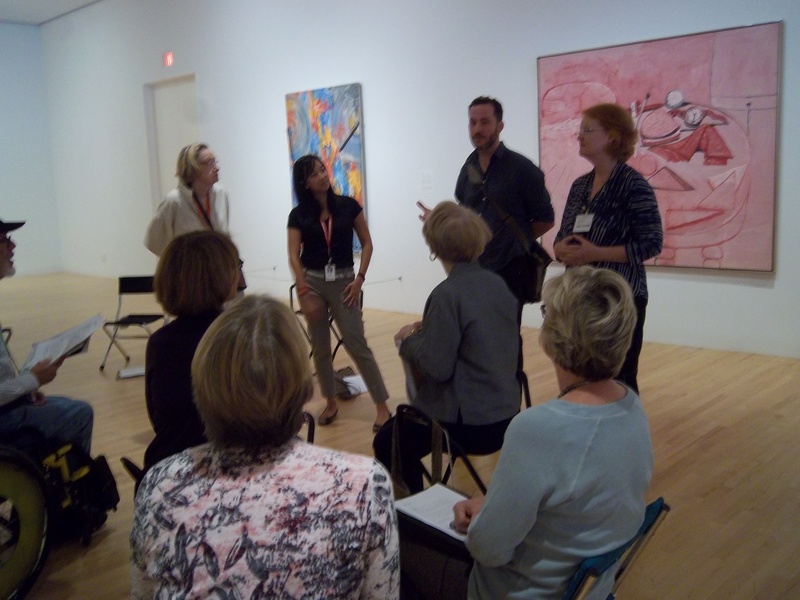 Our docents loved learning from Tom, and I’m sure that you will, too!